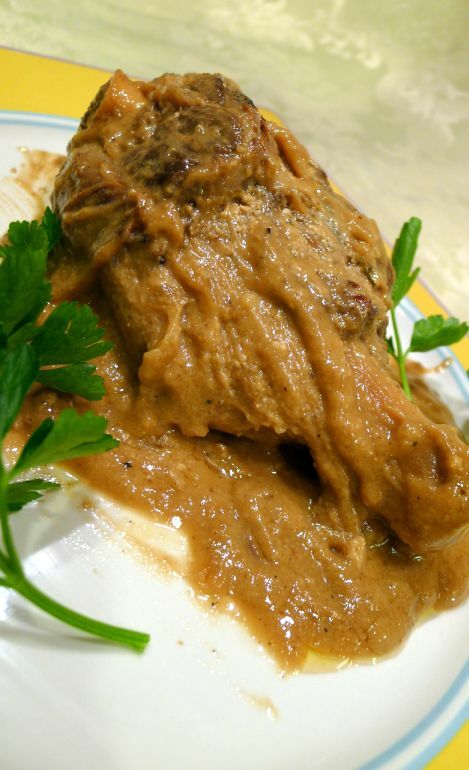 I am having my friends over for an Italian Chef's tasting menu and for the main course I am serving this milk braised lamb shanks. 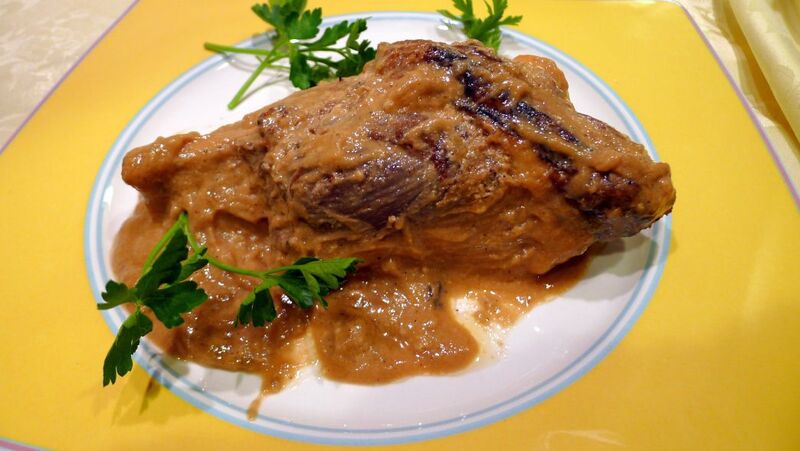 It is a very copious portion so you might have to share it or eat a bit and safe the leftover for the next day! The recipe called for goat milk but I replaced it with regular cow milk. 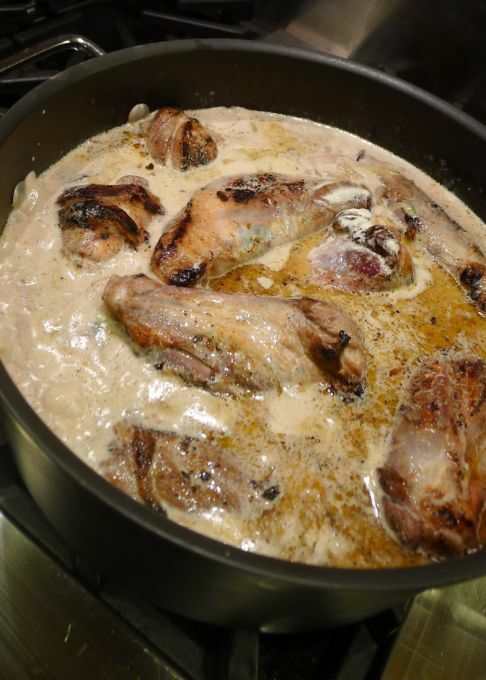 Supposedly when braising with milk the meat will become silken, soft and delicious. 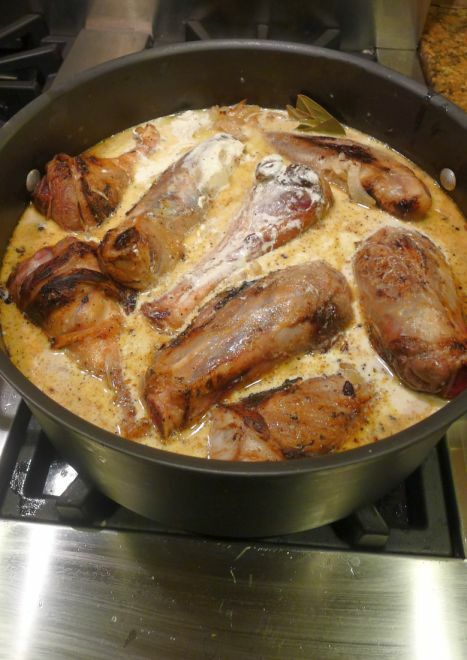 There are plenty of sauce but you will be glad to have it over pasta with the leftovers lamb the next day. 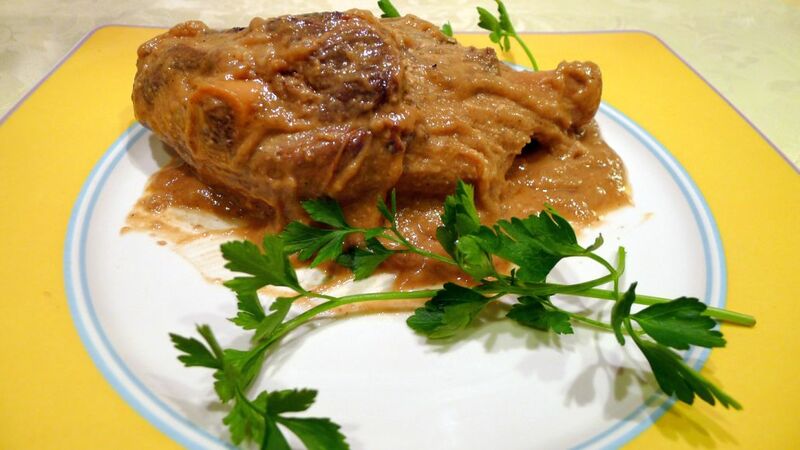 Plan a ahead of time because you will need 2 days to make this dish. 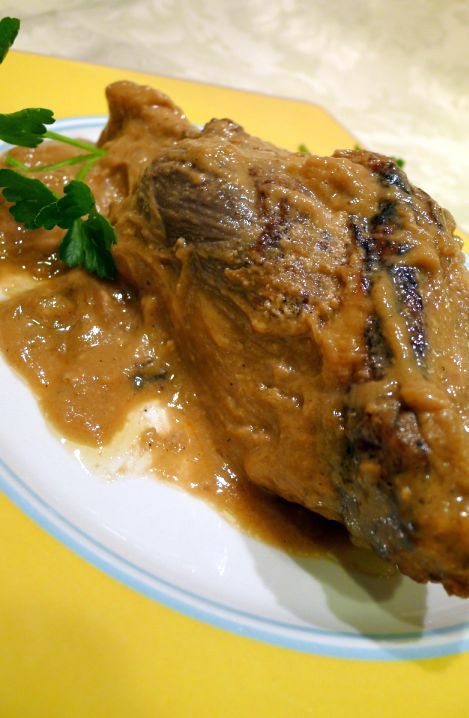 The lamb shank was pork tender and just melted in my mouth, so yummy! 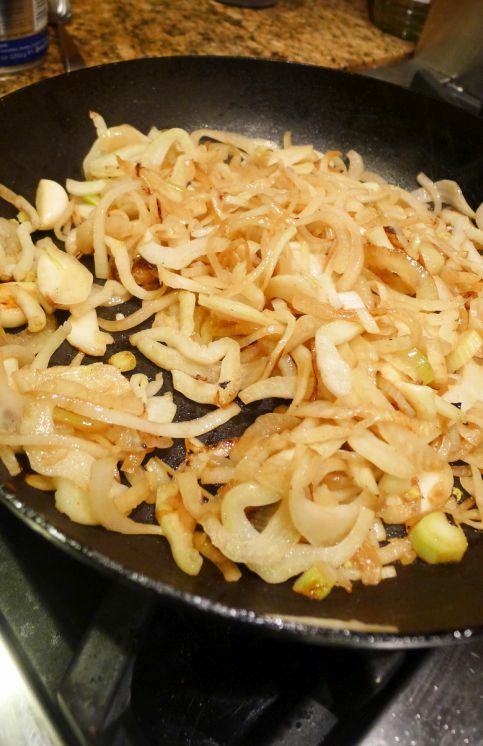 The sauce is made with sautéed fennels, garlic, onions, and milk braised slowly in the oven until all the flavors came together. 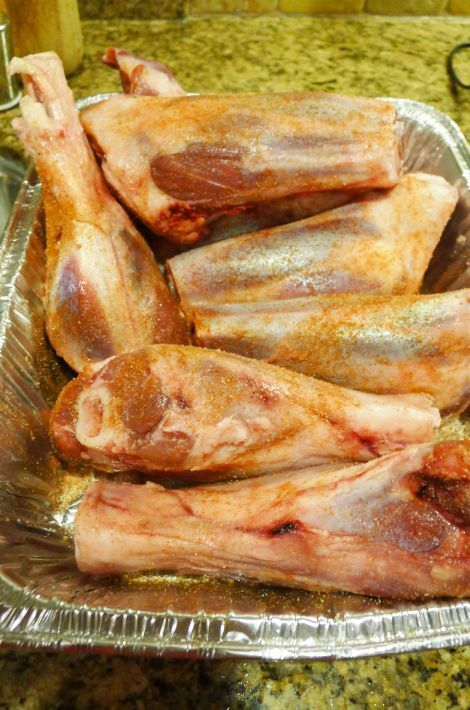 Clean your lamb shanks and season with salt and pepper and set aside. 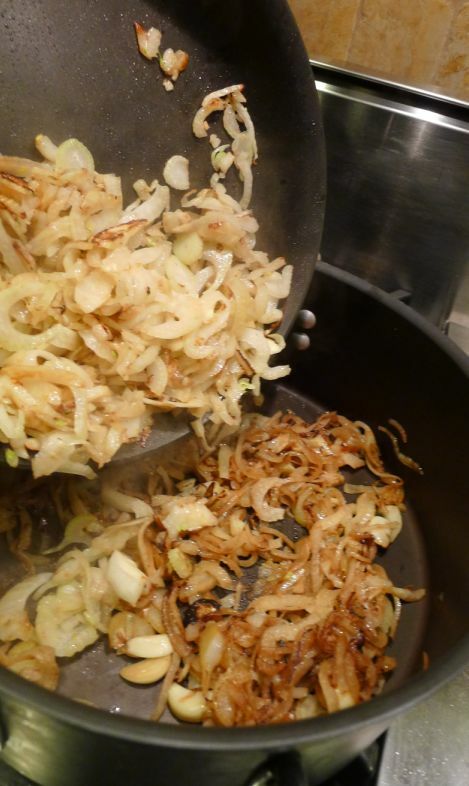 Heat a large pan and add 2 tablespoons of oil until hot. 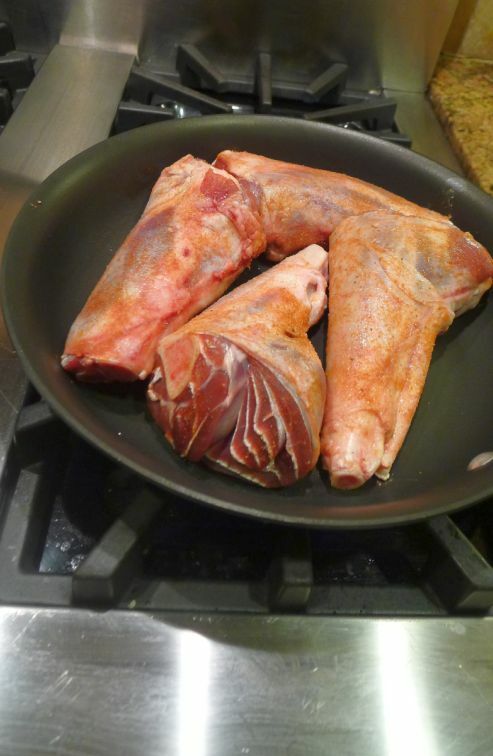 Add the lamb shanks. You might have to do it in batches. Brown the meat on all sides. 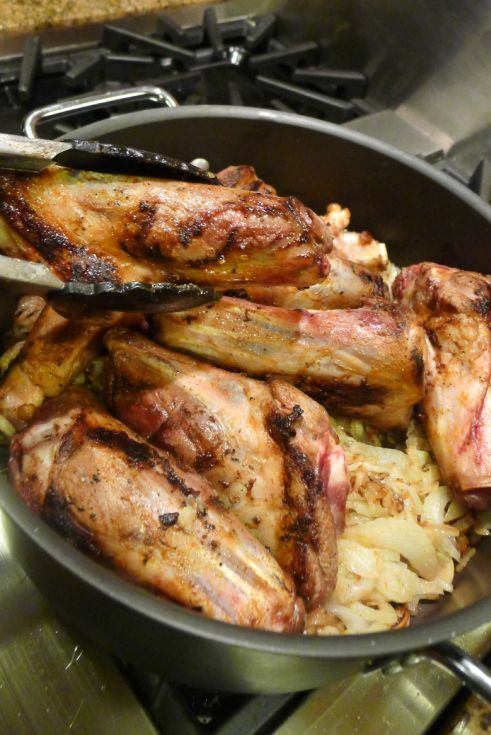 Don't crowd your pan to make sure the meat is browned on all sides. 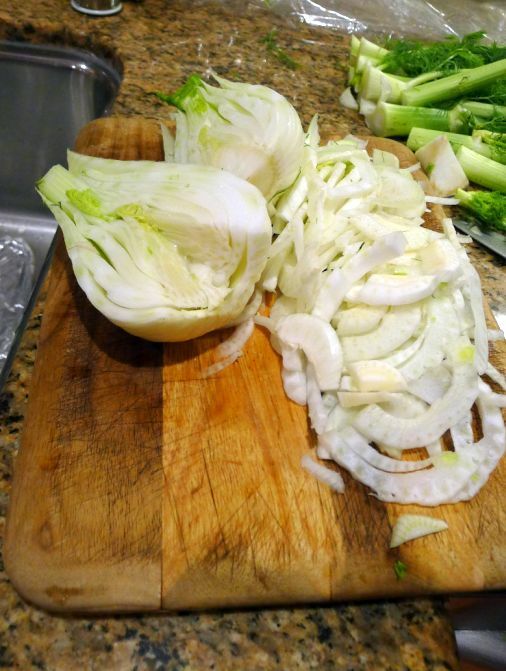 Cut and core the fennel bulbs and slice them thinly. 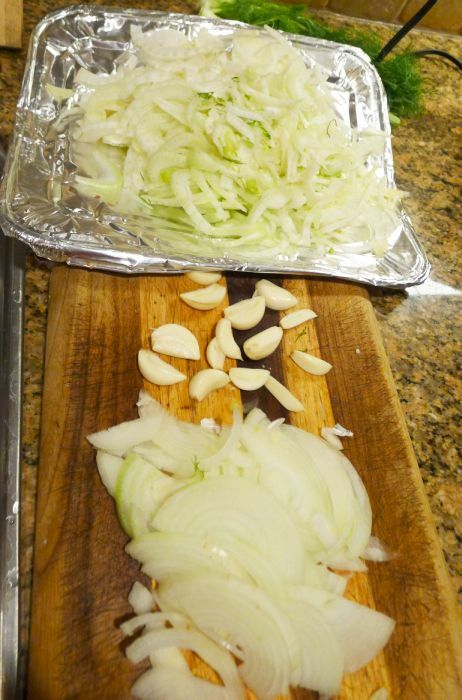 cut the onion thinly and cut the garlic in half. 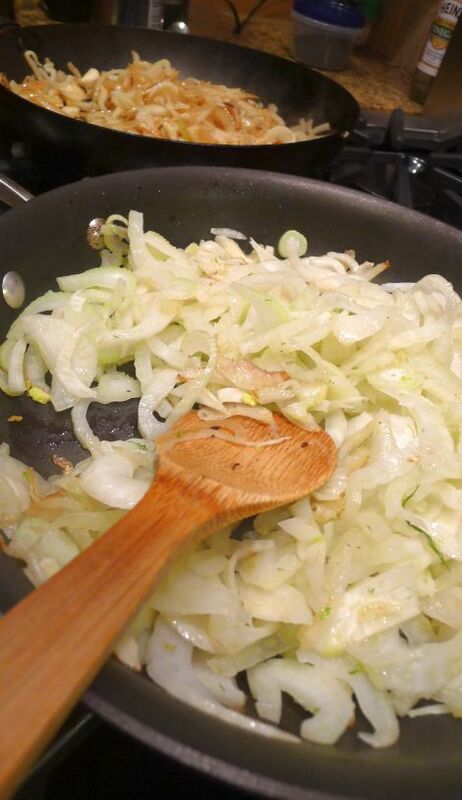 Heat a large pan over medium heat and add 2 tablespoon of oil then add the garlic, fennel, onions, and fennel seeds. I had to do it into 2 batches. Sautéed until lightly browned about 4 minutes or so. Put the vegetables in the bottom of a large pot. 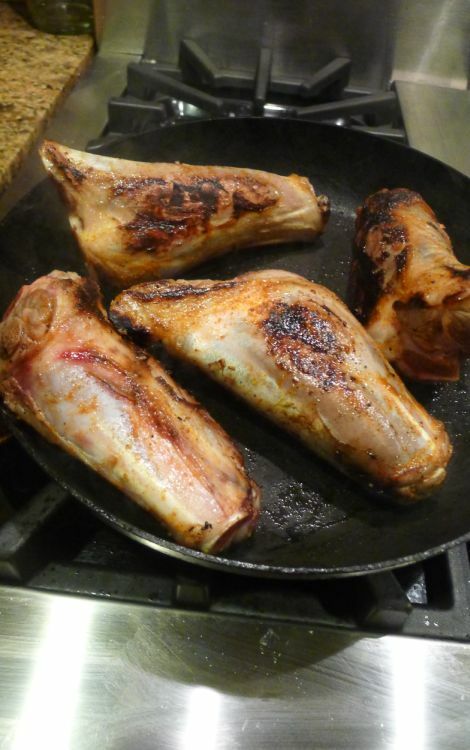 Put the browned lamb shanks on top of the vegetables. 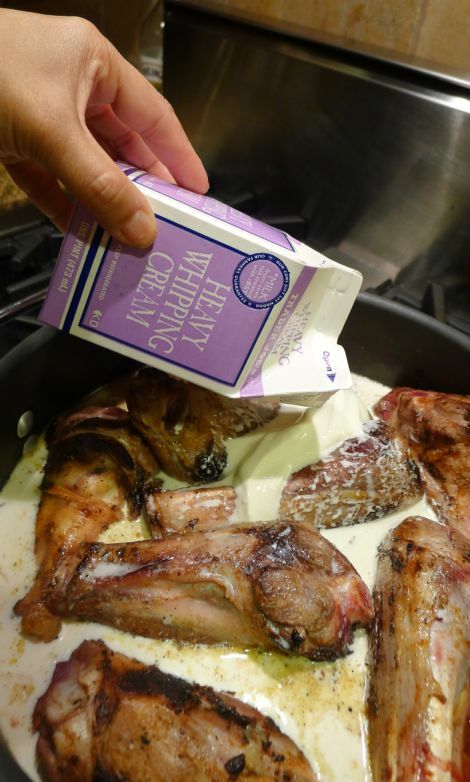 Add the cream and bay leaves. Turn the heat on and bring it to a boil. Turn off the heat! Cover the pot and put it in the oven (pre heated at 275degrees). 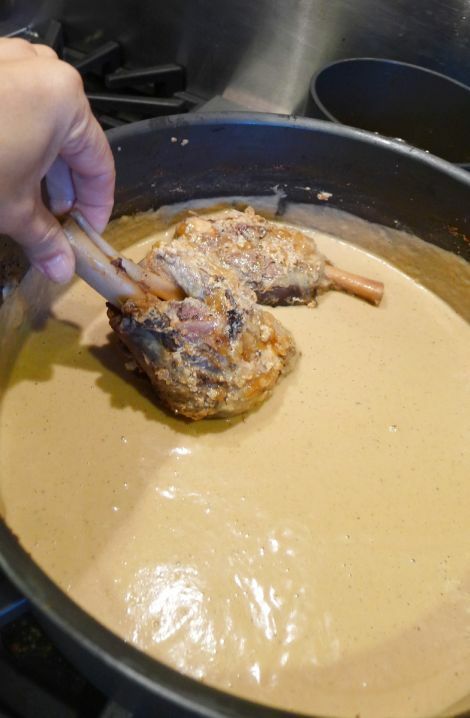 for about 2 hours or the lamb is very tender. Let it cool down and refrigerate until the next day. 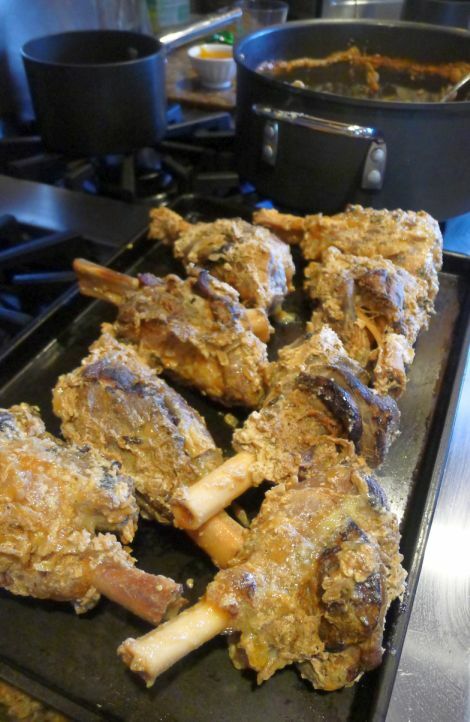 Using tongs, carefully remove the lamb shanks from the braising liquid and set aside. 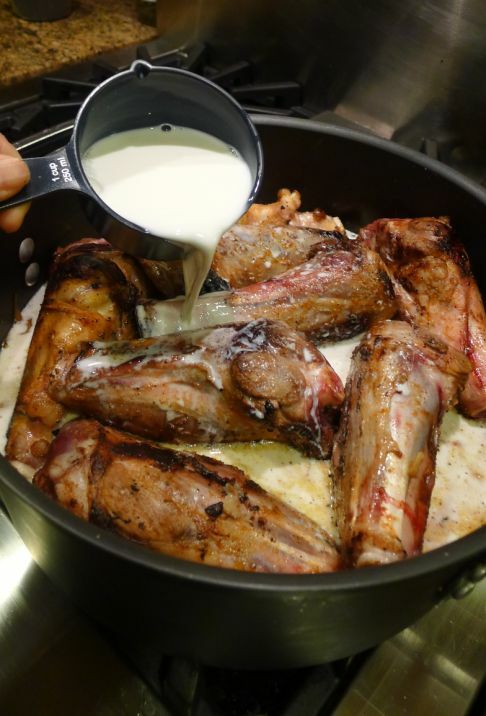 Reheat the sauce and bring it to a simmer. 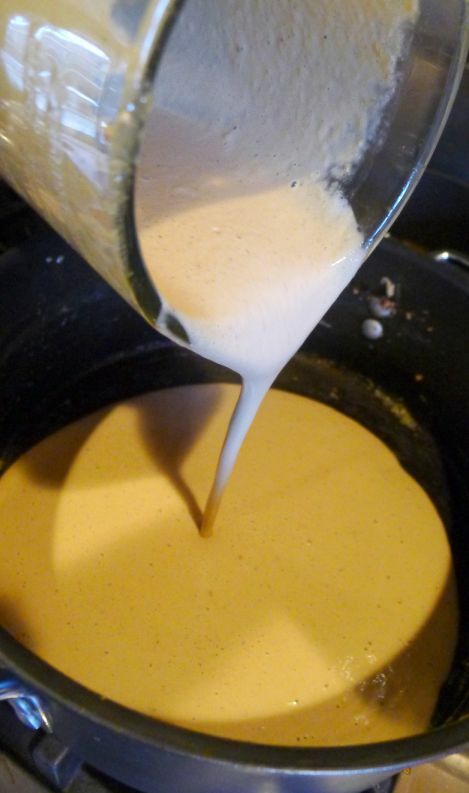 The milk will curdle after braising but it will come back together after blending it together. 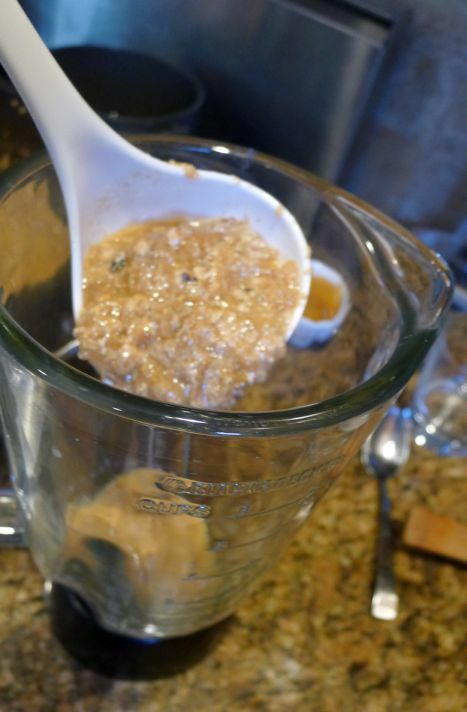 Put the sauce into a blender and blend until smooth. 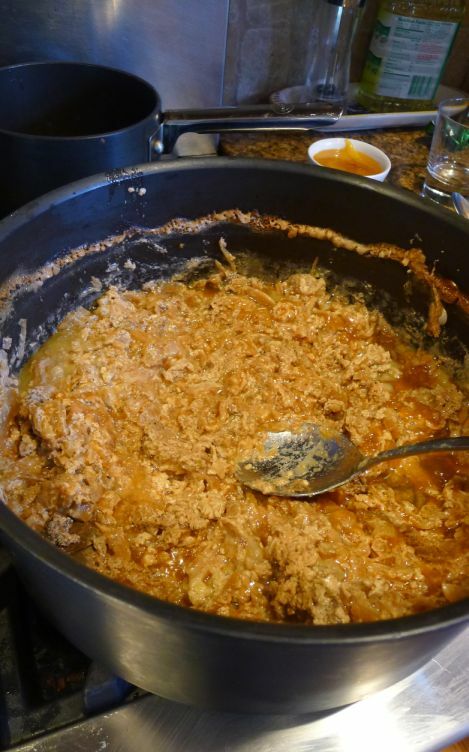 Once the sauce is blended the curdle will be gone and the sauce will smooth out nicely. Pour the sauce back into the pot and adjust the seasoning. 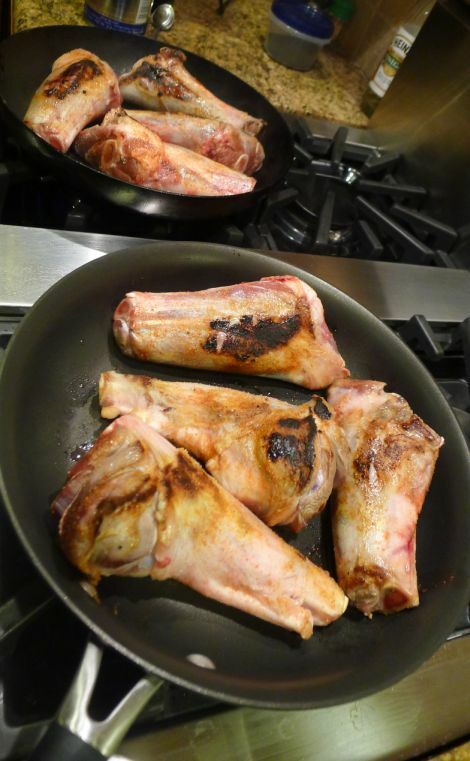 Put the lamb shanks back into the sauce and gently re-warm it and it is ready to be served.